The number of attendees has reached in the 3rd Summit 240 delegates; which means that the number of participants has doubled over two years. 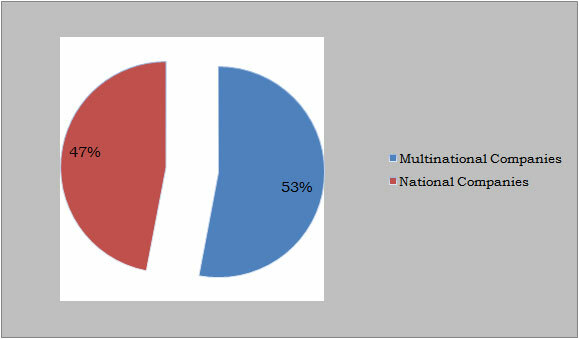 This figure reflects TOGS world reputation and global reach. 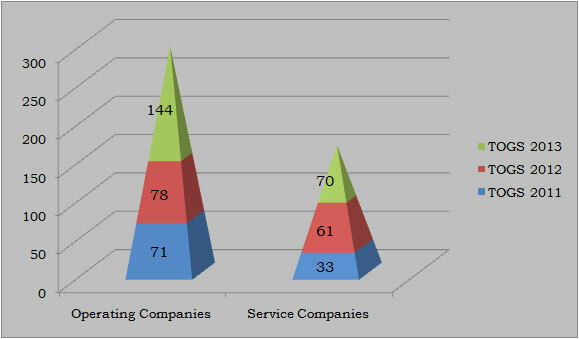 According to the 2 above charts, we can deduce that TOGS target has been achieved in the 3rd edition making the number of delegates from operating companies the double of service providers and almost the number of all TOGS 2012 attendees. 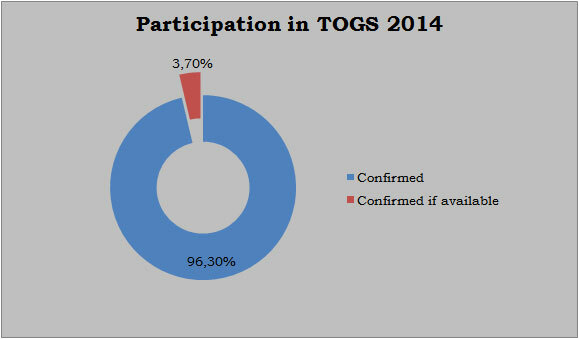 Over 29 National & International Operating Companies took part in the 3rd edition of TOG Summit 2013 at the head of them ETAP, SMH, SHELL, OMV, Anadarko, ENI Tunisia, BG Tunisia…..in addition to the “Direction Générale de l´Énergie (DGE)”. 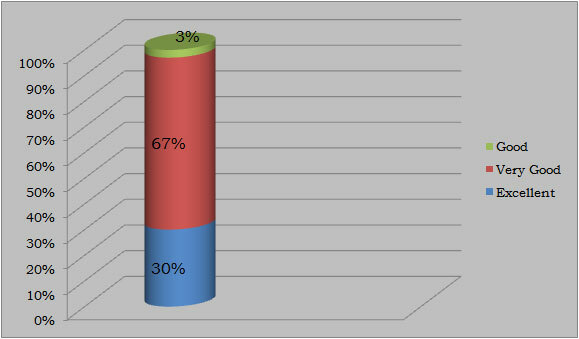 The Summit 2013 was rated as very good by 67% of the participants. 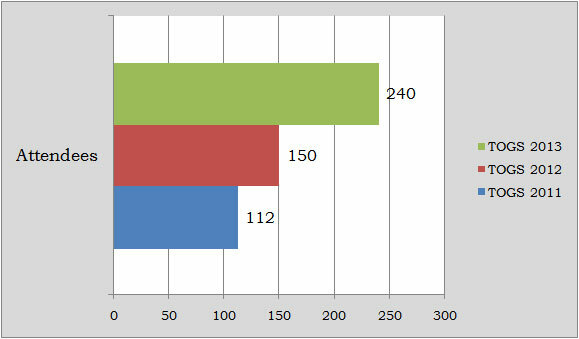 While third of the attendees found the 3rd edition excellent, only 3% of delegates considered it as good. Showing their interest in taking part in the forthcoming conference, 96, 30% of the delegates confirmed that they will attend the 4th event.